Plastic PET Bottle Making Machine features strong penetrability and good and swift distribution of the heat by letting the bottles rotate by itself and revolute in the rails simultaneously in the infrared preheater. 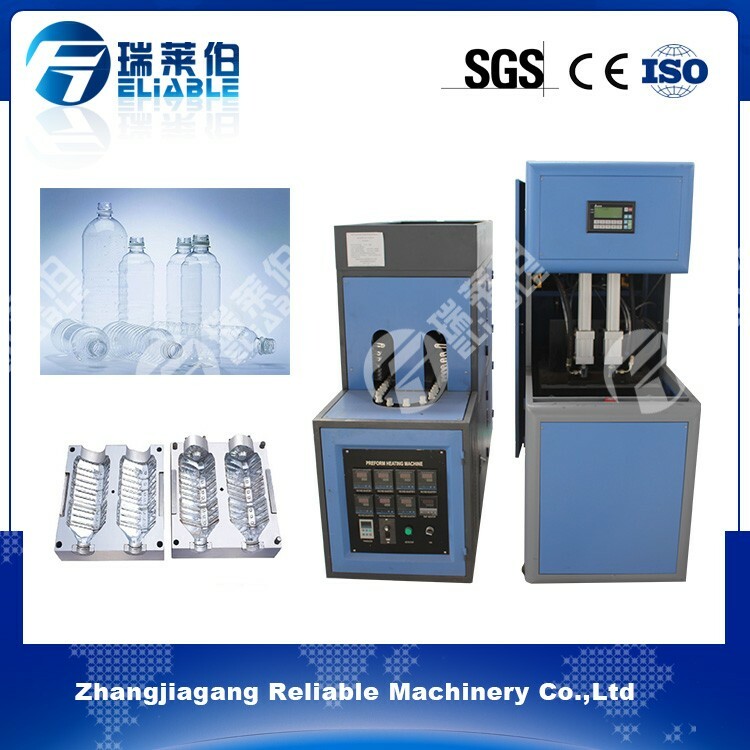 We use only premium quality raw material and innovative technology while designing this Plastic PET Bottle Making Machine. We are also trying to meet those special requirements by special design or special solutions for our customers. We are committed to your 100% satisfaction. High adjustability to enable the preheater to preheat preforms in shapes by adjusting the light tube and the length of the reflecting board in the preheating area, and eternal temperature in the preheater with an automatic thermostatic apparatus. High safeties with security automatic-locking apparatus in each mechanical action, which will make the procedures turn into a state of safety in case of a breakdown in certain procedure. No contamination and low noise with the air cylinder to drive the action instead of the oil pump.